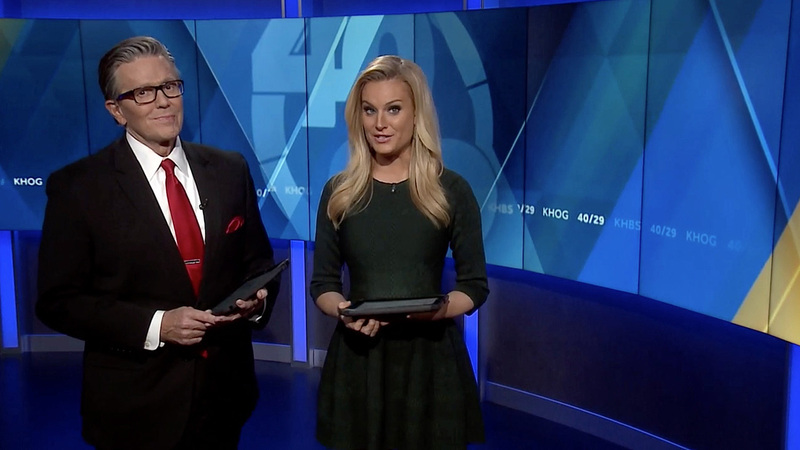 Hearst’s 40/29 News in Arkansas debuted a new set Monday along with the recently rolled out “diagrid” group graphics package ahead of the May sweeps period. 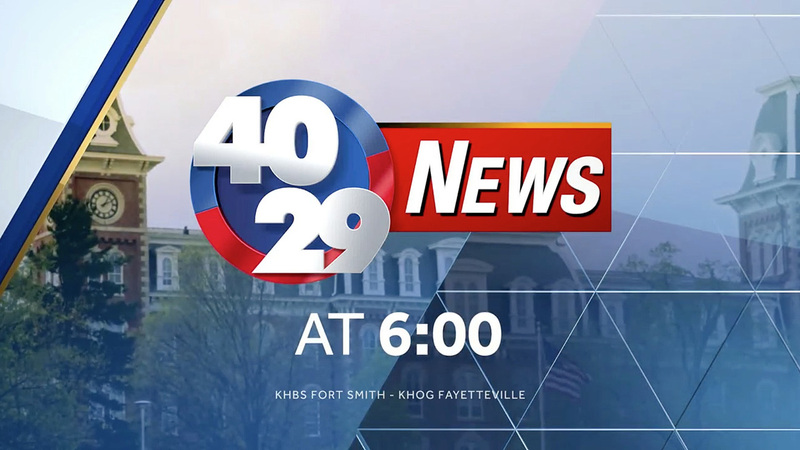 The station, operating under KHBS and satellite KHOG, serves the Fort Smith and Fayetteville DMA with both the ABC and CW affiliation. 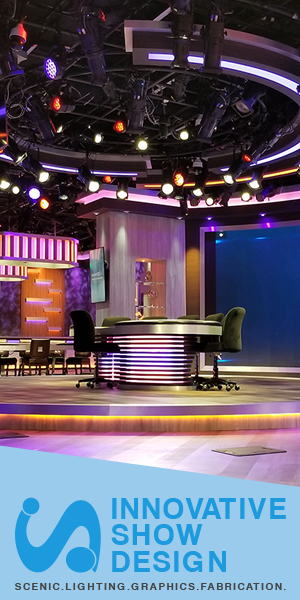 The upgraded set design, from Z Space Creative, places a vertically-mounted monitor array behind a circular anchor desk, which features embedded light panels and edge-lit acrylic. This video wall features the station’s 40/29 logo predominately, instead of a skyline, with diagrid pattern graphics. 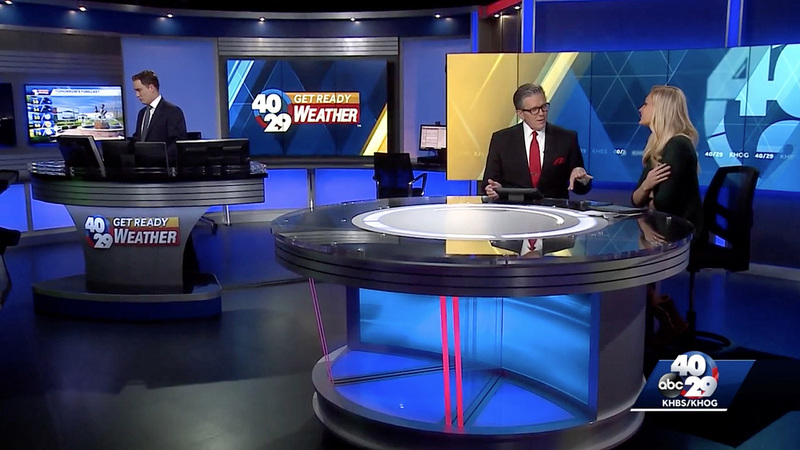 The weather center includes a large presentation pod with 3×1 vertical monitor array and metallic accents. 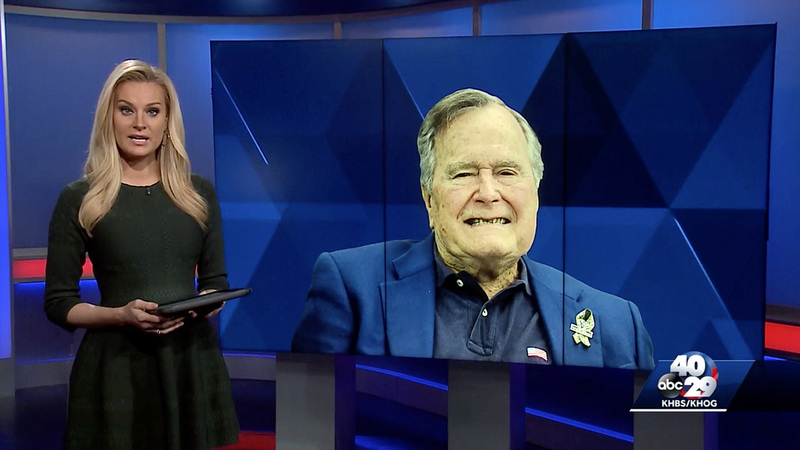 To the right of the anchor desk, another 3×1 video wall creates a 16:9 presentation zone for anchors to tease stories and toss to anchors in the field. Backlit columns and down lighting help accent this space which leads into a multi-purpose area. Primeview supplied the display technology for the set. 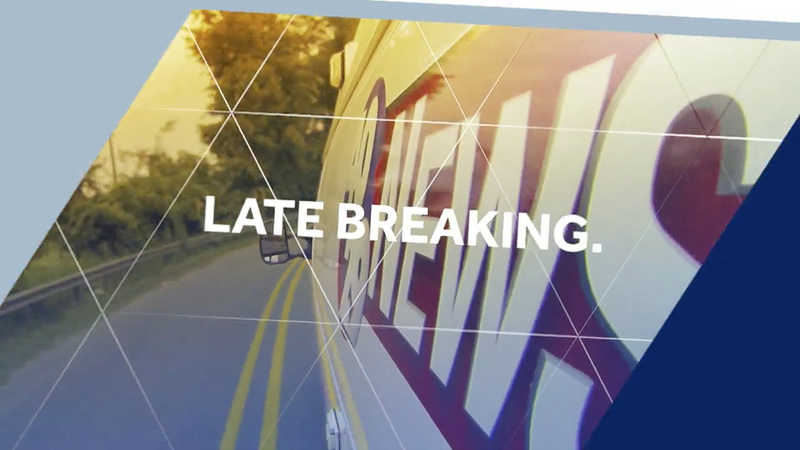 Graphically, the various opens mix shots of multiple local communities and landmarks, such as the Crystal Bridges Museum of American Art, alongside footage of 40/29 News’ news van and reportage. 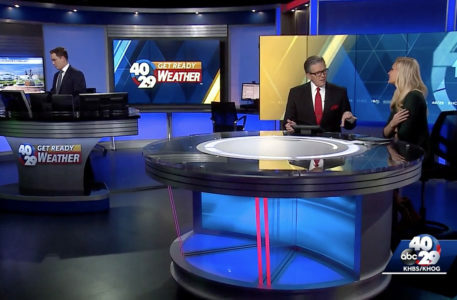 The station’s previous news set was donated to Har-Ber High School in Springdale, where it will be used in communications classes and a weekly newscast.